NASHVILLE, TN – Growing up in Nashville, Tennessee, it wasn’t hard for Kamilo to stumble into music. The city, as most would expect, is rich with history in relation to America’s music, and the local music scene is better than most places in the country. So it was perfectly natural for this young music lover to start rapping at a young age and doing impromptu performances at lunch tables or in the gymnasium or anywhere around school. And though he stepped away from his love for music during his college years, he has found a revitalized passion for the art that he loves and he’s on a mission to pursue a new career in full force. His foray into the world of professional music comes by way of a six-song EP called “Money Love.” It’s a project that he said perfectly reflects his passion for success and explores all the ways that a person can chase after their dreams and get the coin that they long for on a day-to-day basis. Kamilo said the EP will feature a variety of sounds and styles, all underneath the umbrella of the variety of ways that money can represent his current position in life. The first song, for instance, starts off talking about money and finances but then dips into things like religious tolerance and even memories of playing high school basketball. Other songs talk about romance, or street hustling, or just the idea of putting in extra effort to get the things you want out of life. 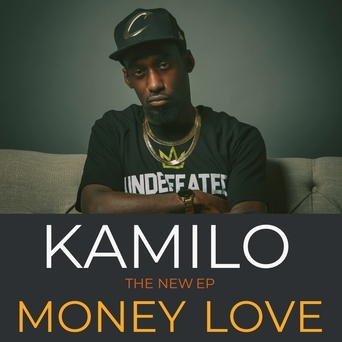 Kamilo said he hopes to take the things he learned while pursuing a degree in business at the University of Tennessee, and use them to develop a long-lasting career in music. While working in the local business community, he has quietly built his rap persona and has had some early breaks, such as being discovered by Jesse Jones – whom he has opened for at a couple of shows. At the end of the day, Kamilo said he hopes he becomes known for being a great entertainer. While “Money Love” is slated to drop Aug. 18, he has more songs that he plans on releasing later this year and even early next year. He understands that he needs to showcase all of the various sides of his unique sound and style, and so he’s eager to release his music steadily over the next year so that he can show off what he’s done and build an established presence in the market.